Where is tobacco reportedly produced with trafficking and/or child labor? The U.S. Department of State 2016 Trafficking in Persons Report notes the presence of forced labor or forced child labor in Kenya and Malawi. The U.S. Department of Labor 2016 List of Goods Produced by Child Labor or Forced Labor lists tobacco as being produced with forced labor and child labor in Malawi and with child labor in Argentina, Brazil, Cambodia, Indonesia, Kenya, Kyrgyz Republic, Lebanon, Mexico, Mozambique, Nicaragua, the Philippines, Tanzania, Uganda, Vietnam, and Zambia. Forced and child labor may occur in the cigarette or beedis (hand-rolled cigars) production process in India and Bangladesh. Human Rights Watch (HRW) also notes that tobacco is grown with hazardous child labor in the United States. The U.S. Department of State Trafficking in Persons Report lists Argentina, Brazil, Cambodia, Indonesia, Kenya, Kyrgyz Republic, Lebanon, Malawi, Mexico, Nicaragua, Uganda, Vietnam and Zambia as Tier 2 countries. Mozambique and Tanzania are listed as Tier 2 Watch List countries. The Philippines is listed as a Tier 1 country. What does trafficking and/or child labor look like in the production of tobacco? Human trafficking is most likely to take place at the harvesting stage of production. The nature of trafficking in tobacco growing, however, varies from region to region and depends on the type of labor involved. In Malawi, human trafficking risk occurs in the context of tenant farming. Families make agreements with landowners whereby they receive a portion of the profit from the tobacco harvest in exchange for labor in growing and harvesting the crop. Tenants are generally expected to pay for seeds and other expenses. Tenant households may wait to receive payments for their crops for months. While they wait, they may take advances for food, clothes, and medicine at inflated rates from farm authorities. The farm authorities deduct these advances from farmer earnings. This may contribute to food insecurity, induced indebtedness to the landholder and child labor. A recent study found that estate owners are less likely to recruit through district labor offices, instead relying on increasingly aggressive recruitment strategies, including the use of third-party labor brokers/middlemen. Returning tenants may also act as labor brokers to recruit new tenants. The U.S. Department of State reported in its 2016 Trafficking in Persons report that NGO research has found that children in Kenya-based refugee camps may be forced to work on tobacco farms. In the United States, Human Rights Watch (HRW) found children as young as seven working in tobacco fields. Many of the children interviewed by HRW were children of migrant farmworkers. While they attended school during the academic year, in the summer, they worked in tobacco fields to supplement their family income. In a follow-up report in 2015, HRW reported that although several companies implemented policies banning children under 16 from working in tobacco farming, this still leaves children 16-18 working under conditions that are considered hazardous. According to field research conducted by Human Rights Watch from September 2014 to September 2015 in Indonesia, children work for their own family farm to increase family earnings or on other small farms to support their family financially. HRW found that Indonesian law prohibits children under 18 from performing hazardous work, although it does not explicitly classify the handling of tobacco as such. All children interviewed by HRW reported experiencing symptoms of nicotine poisoning. Work in tobacco production is hazardous for both adults and children. Workers use dangerous tools and machinery, lift heavy loads, and may be exposed to intense heat and work at height hanging tobacco in barns. Workers may also be exposed to pesticides, including known neurotoxins. Workers harvesting tobacco leaves without adequate protective equipment are vulnerable to Green Tobacco Sickness, or GTS. GTS, caused by absorption of nicotine through the skin, can cause nausea, vomiting, weakness, headaches, and respiratory symptoms. Children are most vulnerable to these risks, including GTS, as their bodies are still developing. Vomiting can lead to exacerbation of dehydration and heat illness. Torres, Liv. The World Smoking Business, as cited in: Otañez, Marty, and L Graen.. Gentlemen, Why Not Suppress the Prices? Global Leaf Demand and Rural Livelihoods in Malawi. 2014. In Tobacco Control and Tobacco. http://observatoriodotabaco.com.br/uploads/biblioteca/arquivos/pdf/IDL-53191.pdf#page=80. Tobacco production encompasses the cultivation of several different varieties of tobacco leaves, grown for different purposes. Flue-cured, Burley and Oriental tobaccos are used in blended cigarettes, with Flue-cured being the most commonly produced. Tobacco production and harvesting is labor intensive. Seedlings are hand sown into beds and then removed for transplanting. Seedlings are clipped for weeks before transplanting. Fertilizers are applied to fields and in many developing markets, they are applied by hand. Flowers are manually or mechanically removed to encourage leaf development. Some types (Flue-cured, Oriental, and cigar wrapper) are harvested as individual leaves ripen. Other types (Burley, Maryland) are cut near ground level when most leaves are ripe. Harvesting is generally manual. Curing requires leaves to be hung in barns. At factories, leaves are cleaned, de-stemmed and aged, after which flavor may be added. Tobacco is then rolled into cigarettes, which may have filters added. 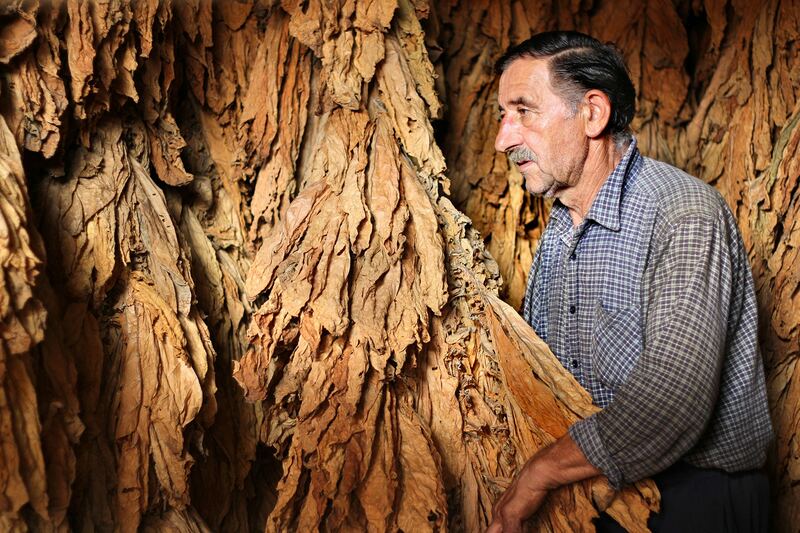 Many tobacco producers are small-holder famers. Tobacco companies (or their supplier affiliates) either purchase tobacco directly from growers, or procure it in an auction system. Generally, in a direct buying, or “contract” system, companies purchase growers’ entire crops. Tobacco purchases in most countries, including most U.S. purchases, are made in a contract system. In some countries, such as Zimbabwe, tobacco is sold at auction. Until the 2012 season, tobacco in Malawi was sold through an auction system; this caused high levels of price instability and led to livelihood concerns for farmers, potentially encouraging child labor. The auction system also prevented buyers from using leverage to discourage child labor. Tobacco is produced and consumed worldwide. The major producers are China, India, Brazil, the United States, Malawi, Indonesia, and Pakistan which together produce over 80 percent of the world’s tobacco. China alone accounts for nearly 42 percent of world production. How do Trafficking and/or Child Labor in Tobacco Production Affect Me? The most common uses of tobacco are for cigarettes, cigars, pipe tobacco, chewing tobacco, and snuff. Over a quarter of Americans consume tobacco products. Philip Morris International (PMI) engaged Verité, a labor rights NGO, in a strategic partnership to improve conditions for tobacco workers and to eliminate child labor in its global supply chain. To meet this objective, PMI developed and communicated a comprehensive Agricultural Labor Practices (ALP) Code to over 500,000 smallholder farms in over 30 countries. Employees and suppliers have also been trained across the company’s entire tobacco supply chain. As part of implementation of the ALP Program, field technicians gather annual information on who lives and works on each farm and regularly monitor farms for adherence to the ALP Code. PMI engages third-party monitors to evaluate its markets, and where issues have been identified through third-party monitoring, PMI and its suppliers have worked to develop corrective action plans. According to the 2015 progress report on the ALP Program, PMI had so far trained 3,500 field technicians to monitor farms, affecting 2.5 million workers on tobacco farms around the world. The Eliminating Child Labour in Tobacco Growing Foundation (ECLT) is a multi-brand funded non-profit organization that works to withdraw children from child labor in the tobacco sector, provide educational opportunities, raise awareness about child labor and provide livelihood opportunities for tobacco growing communities. The ECLT runs programs in Kyrgyzstan, Mozambique, Malawi, Philippines, Uganda, Zambia, and Guatemala. 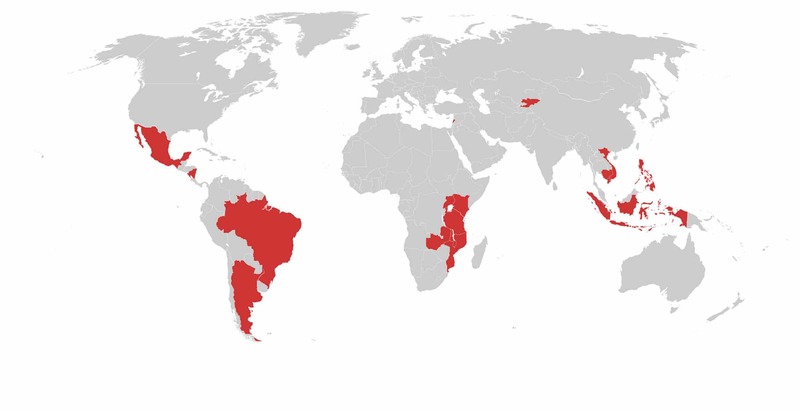 Brazil is the world’s third largest tobacco producer and has taken legal measures to restrict child labor in tobacco farming; banning all children under 18 from working in tobacco due to its hazardous nature. No child under the age of 18 is allowed to work in the fields. Human Rights Watch (HRW) found that tobacco buyers convey health and safety information to their farmers via instructors and offer pesticide safety training. Farmers in Paraná, Santa Catarina, and Rio Grande do Sol were found to be abiding by the child labor laws due to their awareness of the penalty for employing children. Some tobacco companies also reportedly verify child attendance in schools. While HRW reports that these efforts have been successful at reducing child labor in tobacco, the practice continues, due in part to rural poverty and low earnings for tobacco farmers. Watch a video by Plan International on child labor in Malawi. Read about tobacco growing and trade. Read a report by Human Rights Watch on child labor in Indonesian tobacco farms. Read the Centre for Social Concern’s study on tenancy labor in Malawian tobacco production.